One of my favorite things to get ready for Girls Camp is the little gifts we leave on the girls pillows before bedtime. 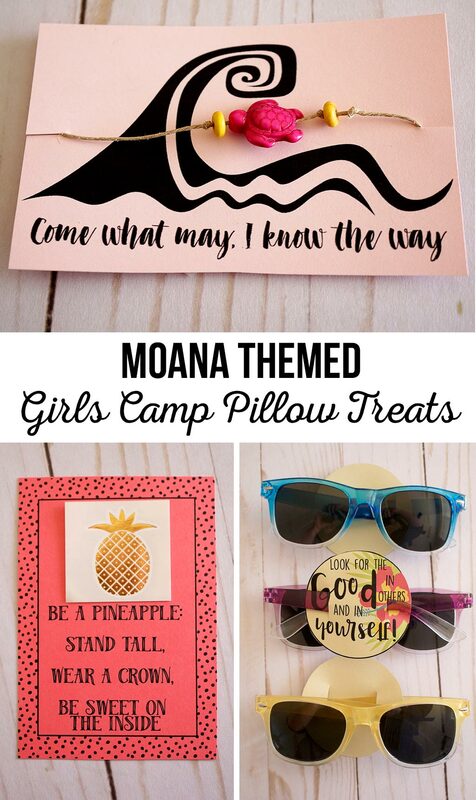 I had a lot of fun with these Moana Themed Girls Camp Pillow Treats and thought I’d share what we did. Since animals, like squirrels, were in the area and are known for ruining many tents trying to get to the treats inside we kept all “treats” non-food items that had a Polynesian feel to them with a good message to go along with them. 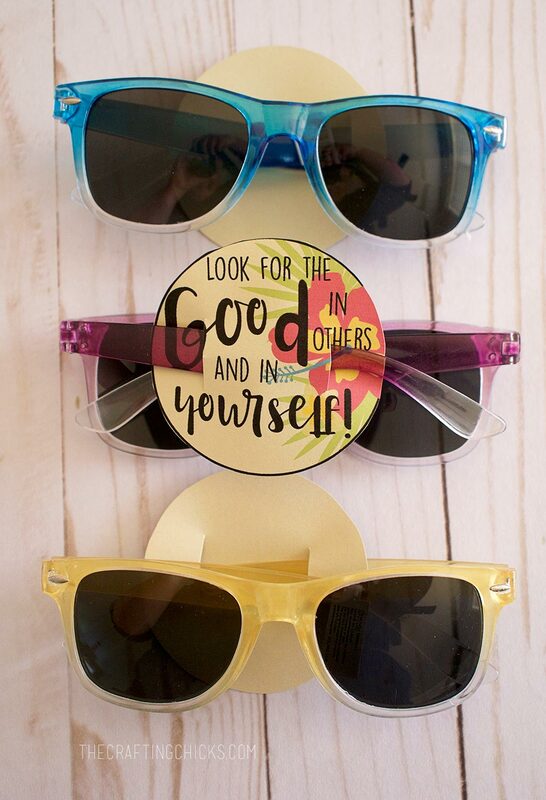 Sunglasses were on the packing list, but we figured a few girls would be sure to forget them and be happy to get a new pair to protect their eyes during camp. 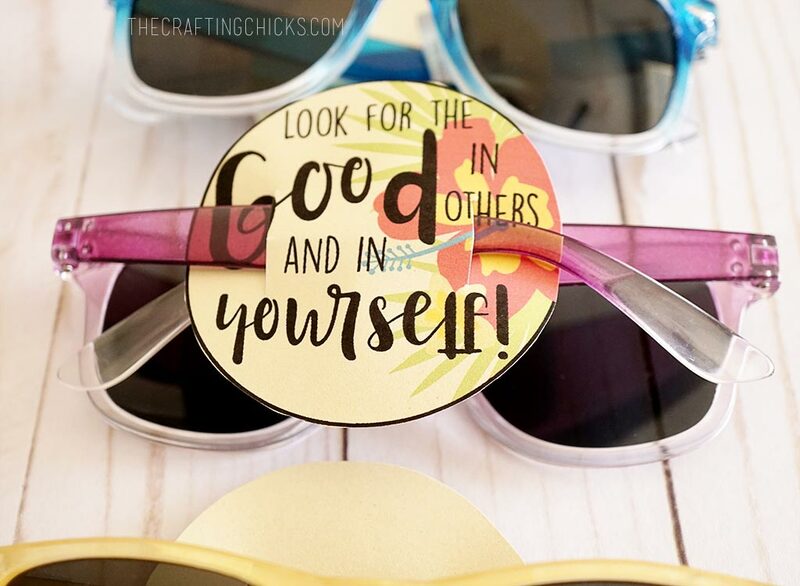 The Ombre Sunglasses are from Oriental Trading. We cut 2 slits in the circle and ran the arms of the glasses through to keep the tag secure. 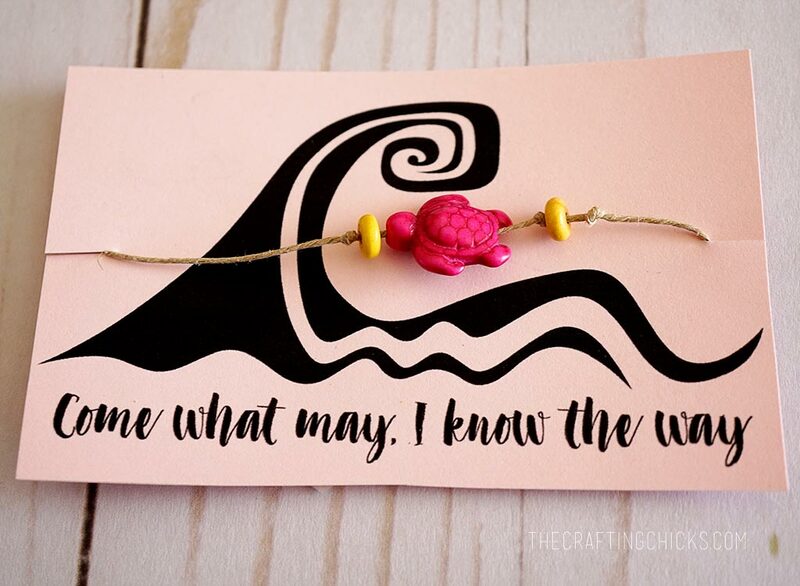 It’s a line from the song “I Am Moana” from the movie Moana. I loved that line and felt that it had a really good message behind it. 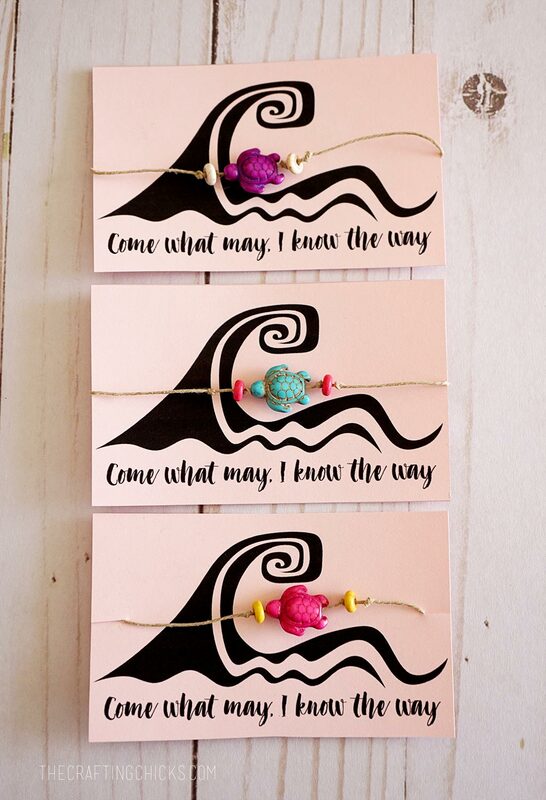 I gave our opening devotional on “Come What May, I Know the Way.” I talked about when baby turtles hatch they have to work their way from the beach to the ocean. Scientists aren’t sure how these tiny turtles know to make their way back. There are a lot of theories of whether it’s the slope of the beach, or if they follow the reflection from the moon on the water because they hatch under the full moon. But there is something inside them that guides them back. Baby turtles face a lot of obstacles and danger on their journey. In the beginning of the movie Moana helps a little baby turtle back to the sea. I likened the instinct of the turtle to the Holy Ghost which guides us to where we need to go. 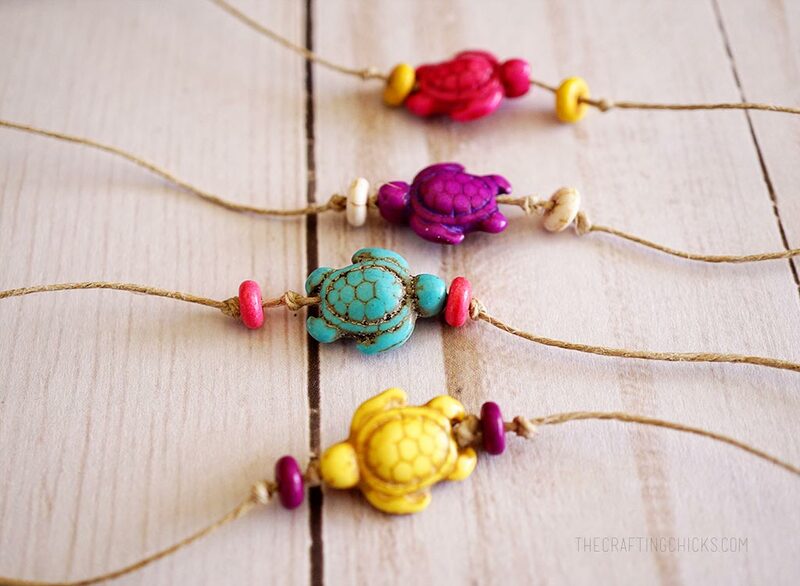 We made the bracelets by tying turtle beads and round flat beads onto hemp twine with knots. To keep bracelets from slipping, cut little slits on the sides of the cards to run the twine through. We secured the ends of the bracelets with tape onto the back of the card. 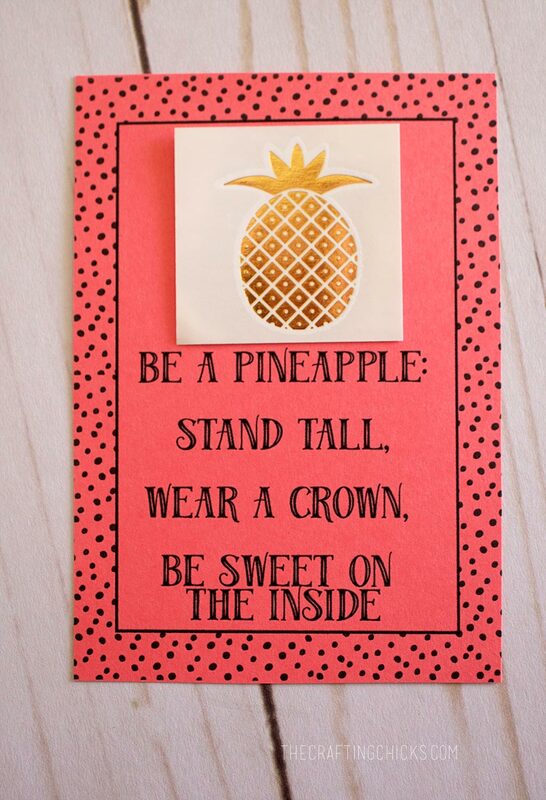 I love this quote of “Be A Pineapple, Stand Tall, Wear a Crown, and Be Sweet on the Inside” and found these gold foil pineapple tattoos from Oriental Trading to go with it. I’d love to hear if you use any of these pillow treats. And please share other great ideas you have for tuck-in treats! I love your pillow handouts. I want to copy them for our moana theme camp as well. 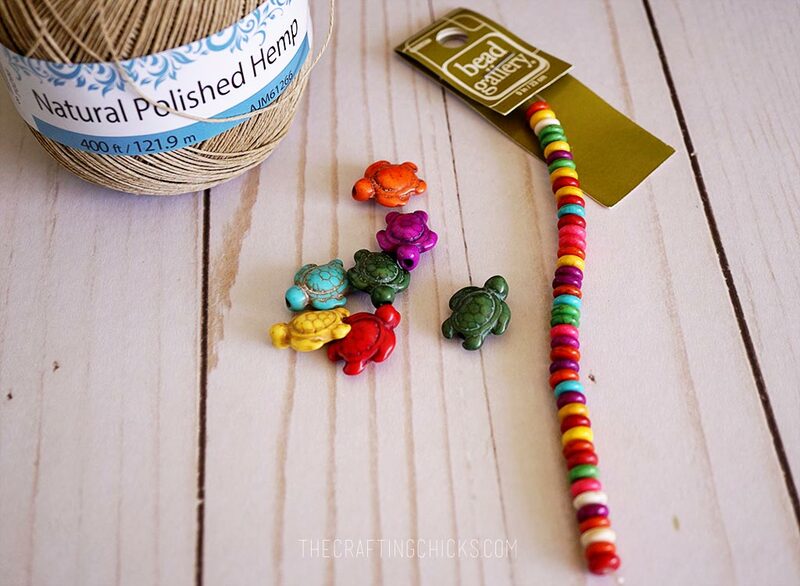 Where did you find your round flat beads? or the polished hemp twine? Yay! Have fun at camp! 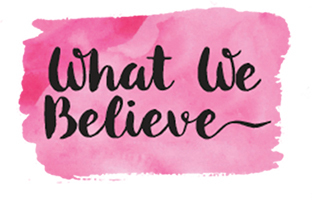 I would love to know more about your theme and what you did during camp if you’re willing to share your ideas. If you could email me, I would really appreciate it. I’m trying gather ideas for our next years camp and I really love this theme. Thanks. Our YCLs just chose this theme as well! I too would love a post on all your other ideas! Thanks so much!! I too would love to know more about this them and what you guys did. 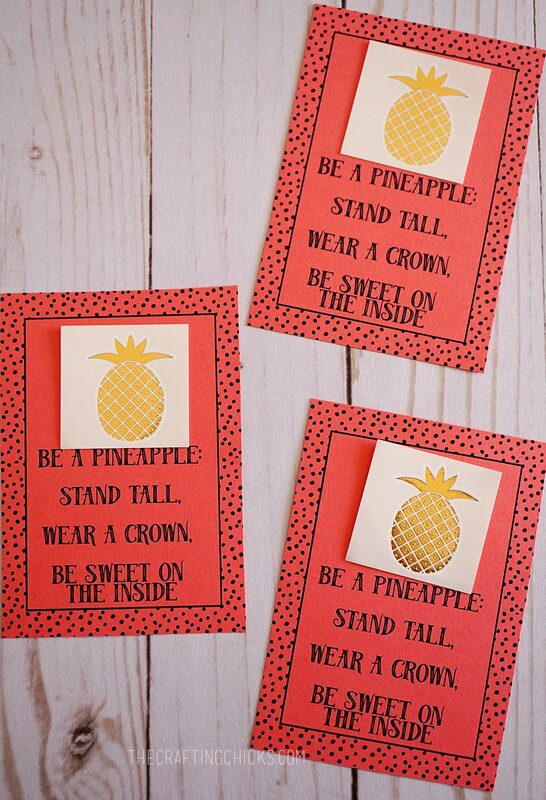 We are just in the beginning stages of ward camp and this theme would be perfect! Nikkala has tons of information. We’ll have her post all about it soon. Thanks tons and good luck!